Devizes Outdoor Celebratory Arts (DOCA) needs to collect and use certain types of information about people involved in its events to be able to work effectively. Any personal information will be collected and dealt with appropriately whether it is collected on paper or electronically. We aim to be compliant with the General Data Protection Regulation (GDPR) 2018. Any information collected by DOCA will be processed for a specific purpose. We will only keep it for the amount of time needed to fulfil this purpose (normally until a week after the event) and it will be erased after this period. Information and records will be stored securely and will only be accessible to authorised staff and volunteers. Information will be stored for only as long as it is needed or required by law and will be disposed of appropriately. Information collected electronically will be stored with a third party. 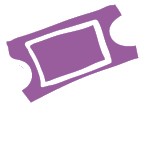 See the third-party websites for their own privacy documents: Mailchimp (used to email newsletters and store mailing lists), JotForm and Cognito Forms (the hosts of our online registration forms), & Ticket Source (box office) Paypal (taking payments for aspects of events such as Colour Rush entry, Market stall fees etc). We are required to obtain informed consent unless there is legitimate interest or an established relationship. When information is collected, we will ensure we inform you why the information is required and what it is used for. You will be asked to confirm that you consent to us storing your information whenever personally identifiable information is collected. This can either be via an online form on our website or a paper sign-up form at our event which will be scanned and stored for future reference. 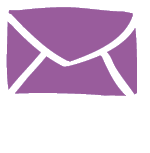 You may sign up to our mailing list at any time – information stored will be kept to allow us to send you updates on DOCA’s events and organisation. You will be able to unsubscribe via our newsletters. Information for market traders will be stored with a legitimate interest and will primarily be information in the public domain or pertaining to our event. Traders will only be contacted to inform them about relevant parts of our events unless they subscribe to our general mailing list. Sometimes extra information will be collected (such as Paypal ID) and used to process payment or send receipts and invoices. DOCA will not sell or rent your personally identifiable information to anyone. DOCA may share anonymous data with other agencies such as the local authority, funding bodies and other voluntary agencies as there is just cause to do so. DOCA will not share identifiable data with outside agencies unless there is a legal requirement. You will be made aware in most circumstances how and with whom their information will be shared. When someone visits this website, we collect details of visitor behaviour patterns. We do this to find out things such as the number of visitors to the various parts of the website. We collect this information in a way that does not identify anyone and we do not make any attempt to find out your identity. If we want to collect personally identifiable information we will inform you about it and make it clear what use will be made of it. Content Management System (CMS) – The software that runs this website stores a temporary (session) cookie or cookies on your machine which are removed when you close your browser. These help to keep track of the pages your visit and help with the functionality of the website. The website may also store some persistent cookies on your machine – an example might be a cookie that helps remember you when return to the site (these are stored for a period of time and then deleted automatically). Some CMS cookies are used to help us to see the number of visitors to the site but we do not collect personally identifiable data from these. Functionality – We use some functionality-based cookies to help the site function properly. Declining these might change the way our website looks and/or behaves. These cookies are NOT used for targeted advertising. Occasionally, the pages on our site may link to other external websites (e.g. to point you to extra information about an act) – DOCA is not responsible for the content of, or policies, of any external site to which we link. This website has links to external sites which should have their own cookie and privacy policies. Accepting Cookies – If you accept cookies, this decision generates a cookie which is stored for a set period of time (usually 1 year), when it will be automatically deleted and you will be asked again if you wish to accept cookies from the site. Can I manage Cookies on my own computer? Your Browser (e.g. Internet Explorer or IE, Firefox, Google Chrome, Safari etc.) has options which will allow you to control and remove Cookies that have been stored on your computer. Sometimes this is in the same place where you view your History. Use your Browser’s Help facility if you are unsure where you can go to delete cookies.